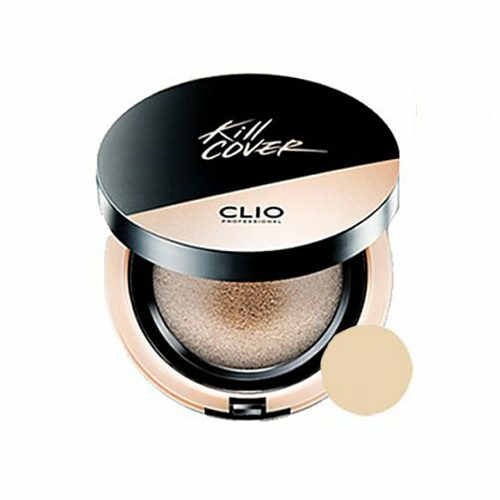 A moisturizing ampoule and concealer in cushion. Full coverage foundation and moisturizer in one formula. This moisturizing foundation with full-coverage pigments of a concealer delivers completely flawless coverage. The rich moisturizing properties of Belgian Spa Water prevent moisture loss and minimize damage to the skin barrier while keeping skin firm and healthy. Moisture-rich pentavitin ampoule seamlessly melts into skin, keeping it moisturized all day. Put a good amount on the puff by pushing it against the sponge and dab it gently on the face.